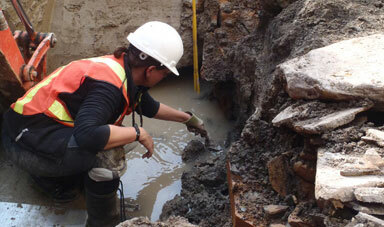 We would like to introduce ourselves as one of the newest Archaeological Consulting firms in Southern Ontario. 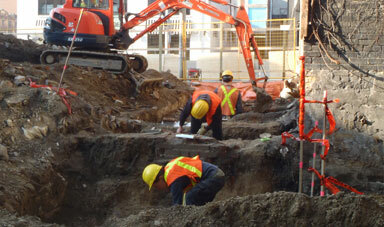 Although we have come together as CRM Lab, we bring with us over 30 years of collective experience in Ontario Archaeology and the archaeological consulting industry. With branch offices in Toronto, Mississauga, Kitchener-Waterloo, Collingwood and Midland, we offer professional expertise in Cultural Resource Management (CRM) as well as the coordination of Environmental Services to all sectors and stages of development throughout Southern Ontario. More about our company & crew. With over 19,000 known archaeological sites our Province possesses a rich archaeological heritage ranging from Aboriginal hunting and fishing camps to villages, historic battlefields, as well as the pioneer and settlement history of the past three centuries. 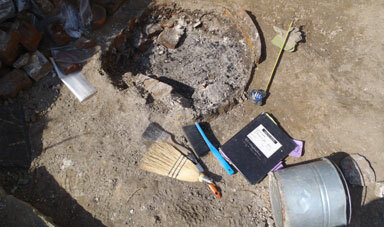 Under the Ontario Heritage Act, the Ontario Planning Act, and the Environmental Assessment Act activities involving terrestrial disturbance legally require the investigation of the property by a professionally licensed archaeologist to identify and document any potential archaeological sites prior to disturbance. In doing so we ensure that this part of our provincial heritage is neither compromised nor lost altogether. As such, we would like to provide your organization with the expertise and knowledge required to fulfill both municipal as well as Ministry of Tourism, Culture and Sport (MTCS) archaeological requirements. Interested in discussing our services? ... But not sure what to do next? Understanding that some of what we do may be new ground for some clients, we've supplied a list of items for you to consider. Contact us to get started! Assessments are required in advance of residential / commercial development or service projects in order to meet provincial & municipal legislation. We've put this primer together to help you understand each stage of assessments. We're always easy to reach. Whether you're interested in services & quotes or just want to stay in touch through our social-media links, we'll look forward to hearing from you.